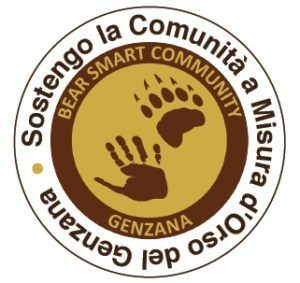 The Bear Smart Community Genzana1 (BSCG) project by Salviamo l’Orso promotes the re-colonization process of the Marsican brown bear (Ursus arctos marsicanus, Altobello 1921) and ensures its persistence in the Central Apennines by preventing conflicts between humans and bears and educating local communities on how to coexist with this Critically Endangered subspecies of the Ursus arctos. The main goal is to remove any food attractors which may condition the bears and induce them to frequent urban areas. The project area connects the Abruzzo, Lazio and Molise National Park (ALMNP), hosting the most of reproductive females, to a large suitable and protected area, the Majella National Park (MNP). Establishing bear smart communities in this region is critically important to promote the re-colonization process and ensure the persistence of this subspecies. In September 2014 one bear was shot-dead in the project area, the culprit motivated its action to the continued depredation of chickens. 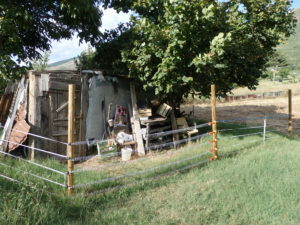 Thanks to a total 15,000 USD grant from IBA (International Association for Bear Research and Management) and in-kind contribution from project partners, in the period April 2015-December 2017 the BSCG project enabled the installation of twenty one electrified fences in the area of Pettorano sul Gizio and their regular check and maintenance, the placement of five bear-proof organic waste bins in Rocca Pia, continuous activities to educate the local population to coexist with the bear through the publication and dissemination of a best practice manual and the organization of public meetings. More than 90% of farms were secured by the joint actions of public institutions and associations, which determined a reduction of damage induced by bears of 76% in 2015, 97% in 2016 and 99,8% in 2017 – which was beyond the expectation of a 50% reduction in 2015, 75% in 2016 and 90% in 2017– and a change in the habits of food-conditioned brown bears, moving back to the wild or to not-yet-secured areas. All of these outcomes undoubtedly prove the effectiveness of this project and the necessity to carry on all these actions. Salviamo l’Orso performs these field action in collaboration with all local stakeholders, in particular the Regional Nature Reserve Monte Genzana Alto Gizio, the associations Rewilding Apennines and Dalla parte dell’Orso, citizens and local administrators, but also thanks to its own volunteers – anyone who wants to participate can write to info@salviamolorso.it for info and subscriptions – and the English students of Conservation Biology of the Plymouth University who have chosen the association and the Reserve – and above all the bear – for an experience of study and volunteering abroad, true ambassadors of the species in our country and in theirs. For further information on the project actions, please download the best practice manual attached, that we have distributed for free to the citizens of Pettorano sul Gizio and Rocca Pia, and the report of the actions so far performed. 1 To refer to the Genzana mountain which identifies the study area and the relative human communities of Pettorano sul Gizio and Rocca Pia. Taea Romagnuolo, student from Plymouth University and Salviamo l’Orso volunteer, has taken inspiration from the Bear Smart Community project to carry out her thesis dissertation titled “Can we bear the bear? 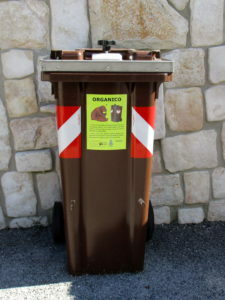 Public attitudes towards the Marsican brown bear (Ursus arctos marsicanus) in the Abruzzo region, Italy, with management implications for their conservation”. Please, find here the summary version of the thesis.